To start off the year, Brainee has released an equally compelling remix for his 2018 single, Gbese. 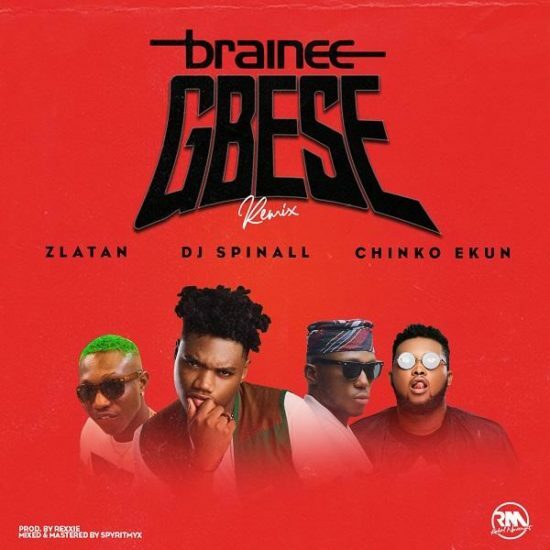 For the Gbese remix, he enlists DJ Spinall and sees Zlatan and Chinko Ekun come together for the first time since their mega 2018 hit single, Able God. Gbese remix is spiced with the of new street Hip-Hop frontrunners Zlatan and Chinko Ekun. The Rexxi produced song immediately sets off a feet thumping energy which stays consistent from start to finish.